Southern Utah University recently launched the Degree Boost Badges, a new initiative aimed at bridging the gap between graduation and career. Degree Boost Badges support any degree with training in marketable skills that help graduates secure a job. The skills included in Degree Boost Badges aim at employment areas that have a majority, 80% or better, of jobs which require complementary skill sets. Each badge requires four courses for a total of twelve credits. 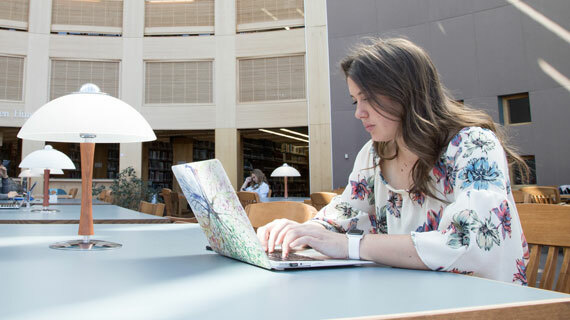 Throughout the badge process, students will gain complementary skills, outside of the core skills of their degree, that employers are looking for. Students can earn multiple badges. Earning a Degree Boost Badge strengthens student’s resumes, giving them an advantage when applying for a new position. Electronically linked to SUU, badges can be listed on a digital resume, official transcripts, and professional sites. With strategic planning at the beginning of their degree, badges can be fulfilled by students with no additional costs or credits. Students can contact their advisor or the faculty badge representative to start planning. Find more information on the Degree Boost Badges.